The current Ewalds Hartford Ford *EVERYONE QUALIFIES* price is $54,490. Stock #HB20838 also has a current manufacturer savings of $1,000, manufacturer savings good until 7/1/2019. You may also qualify for additional incentives like military rebate or recent college graduate. WE'LL MEET OR BEAT ANY ADVERTISED OFFER ON ANY NEW VEHICLE WE SELL OR WE WILL GIVE YOU $500. We'll pay more for your trade! 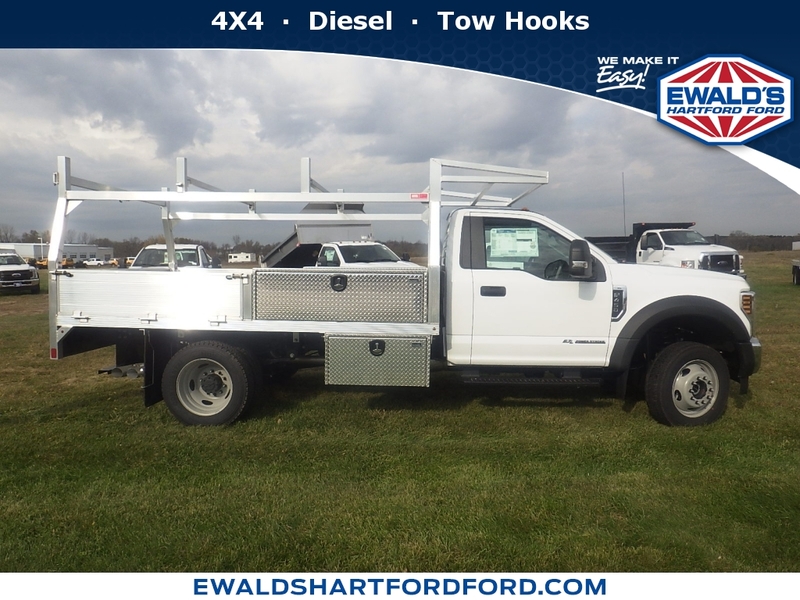 Ewald Automotive, we're minutes from anywhere This 2019 Ford Super Duty F-450 DRW XL features a Race Red exterior with a Medium Earth Gray interior. Factory equipped with an impressive 6.7 liter, and an automatic with four wheel drive. Stock # HB20838 is priced below retail market value! 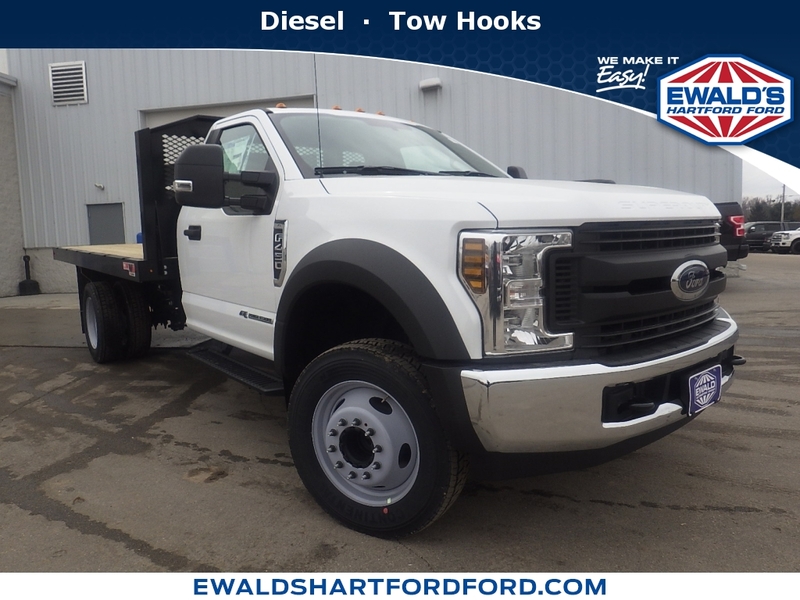 Ewalds Hartford Ford New Ford Light Duty, Heavy Duty and Commercial Truck Super center has this 2019 Ford Super Duty F-450 DRW XL competitively priced for a fast sale today. With Ewalds Hartford Ford exclusive MAX Allowance® vehicle purchase or trade in program you can use your smartphone to get a Considerate Cash Offer™ and receive a check for your current vehicle today. Ewalds Hartford Ford always pays trade in prospects and for sale by owner vehicle sellers in Southern Wisconsin MAX Allowance® for their private seller vehicles. Even if you don’t plan to purchase this 2019 Ford Super Duty F-450 DRW XL from us; we want to buy your vehicle for MAX Allowance®.